It is suitable to make Bun, Meat Bun, Vegetables Bun, Red Bean Bun, Small Steamed Bun, Rabbit Bun, Rice Cake with Bean Paste, Cutted Bun, French Bread, Filling Inserted Bread, etc. 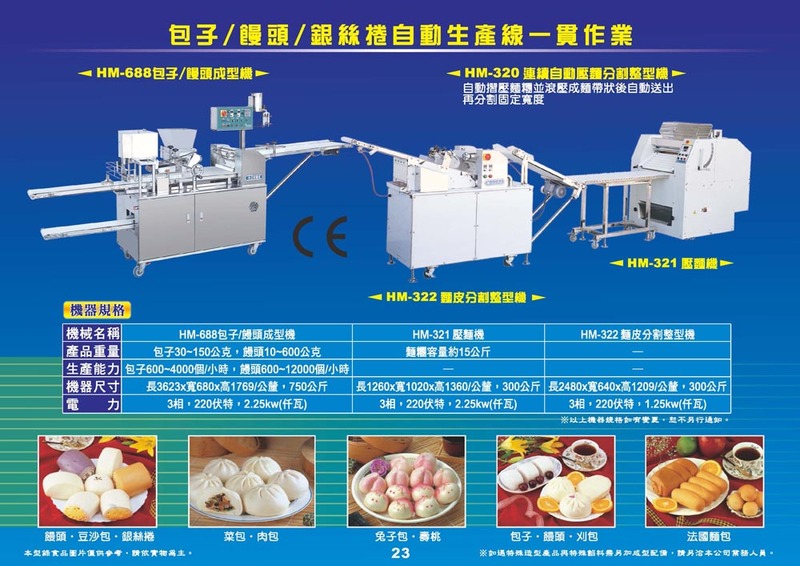 HM-688 are suitable for making Silk Bun,Meat Bun,Vegetables Bun,Cut Bun,Small Steamed Bun,Rabbit Bun,Rice Cake Bean Paste,French Bread,Filling Inserted Bread and more. Production speed is adjustable. It's easy disassembly to wash every components. And it is fit for international sanitary food standard.